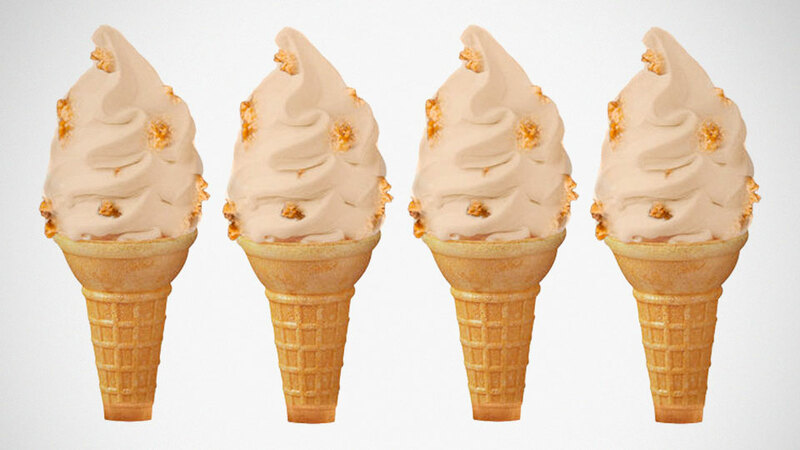 In’s today weirdest and possibly funnest news, KFC has declared that the world’s famous fried chicken chain will be serving up, wait for this… KFC fried chicken-flavored Ice Cream. No kidding. Or may it is? Because, the news was picked up by our source on April 1st and you know what that means… Anywho, according to our source, this upcoming cold treat will feature vanilla soft serve “infused with the brand’s secret recipe herbs and spices” and believe it or not, “bits of candied fried chicken skin” in a cornbread cone infused KFC gravy flavoring. 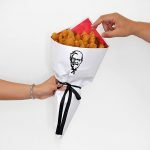 It is apparently available at participating KFC restaurants in stateside from now to Summer 2019. 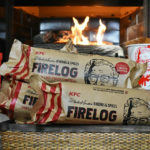 Given KFC’s history of bizarre products, KFC fried chicken-flavored Ice Cream might just be real. In any case, fried chicken-flavored ice cream wasn’t new to KFC. Back in 2016, KFC Japan actually served up such a dessert. 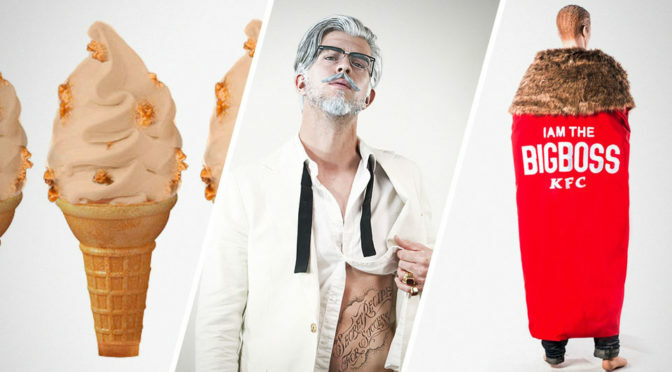 While the KFC fried chicken-flavored Ice Cream’s existence is questionable, the KFC Virtual Influencer Colonel is very real. I mean, virtual kind of real. 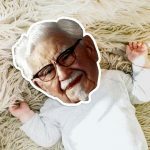 In response to the rise of so-called Instagram influencers (and social media influencers, in general), KFC has created a computer-generated, ultra suave and obviously younger Colonel Sanders. This Virtual Influencer Colonel has been “posting” images on Instagram with images of ‘him’ in different locations and doing everyday things like slumping over a horse (!? ), in the midst of a corporate meeting, on a private jet and more. 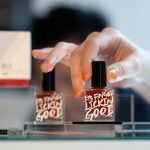 It is a spoof, a parody that poke fun at influencers who often open up on their lives and what they are up to. 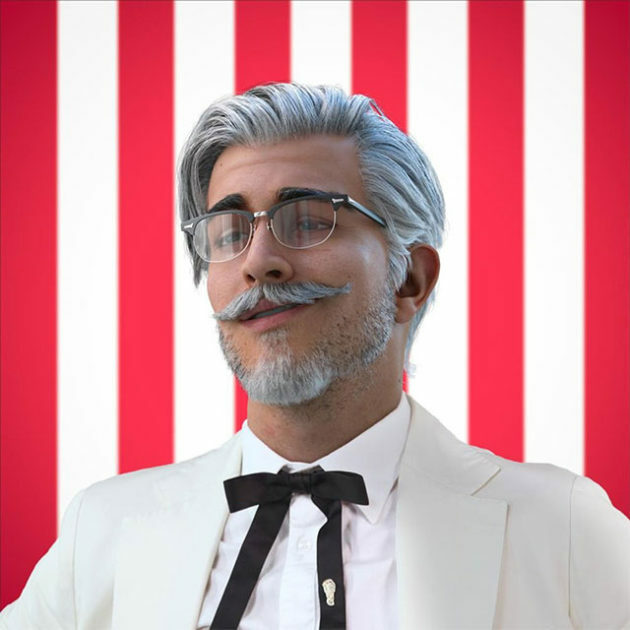 Obviously, this virtual Colonel is not just a younger age; ‘he’ is also given a more dashing look with short, styled white hair, complemented by white mustache and short beard, and garb in a modern taken of the Colonel Harland Sanders’ signature white suit and black tie. 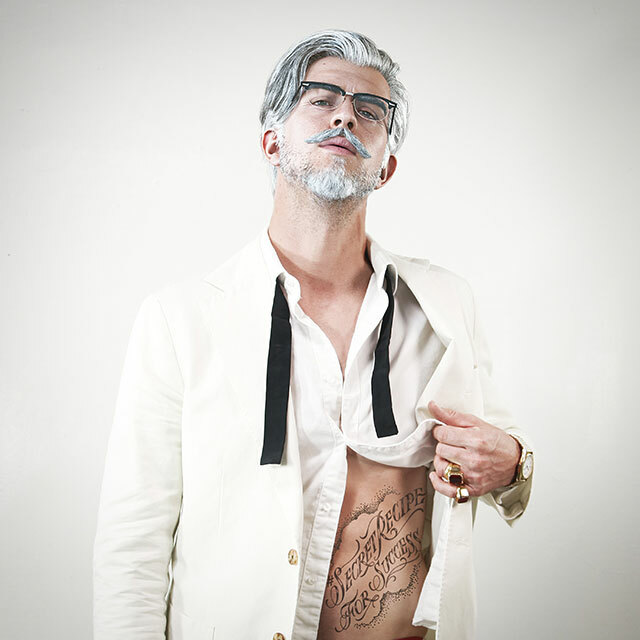 Expect to see more of this Chris Hemsworth vibe Colonel Sanders in near future. 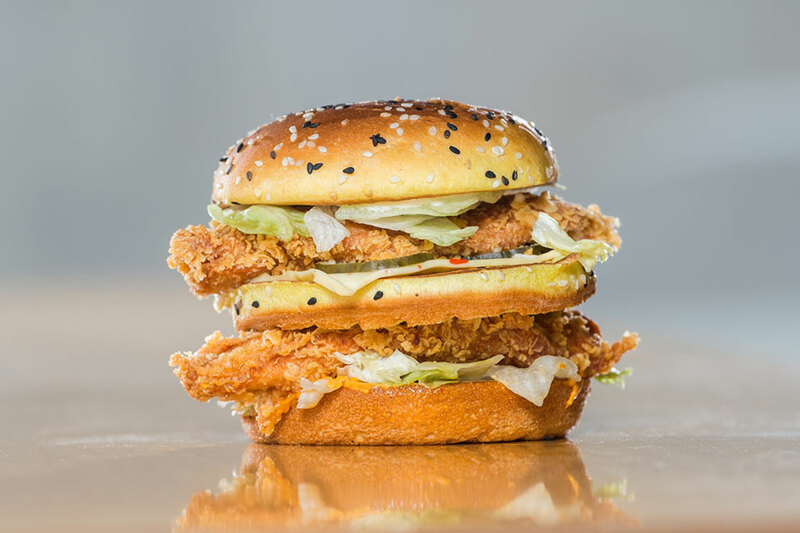 Finally, KFC Middle East has a new burger on its menu called Big Boss burger, a double Zinger burger, that celebrates “the return of one of the greatest television dramas of the decade.” But it is not the delicious burger (it has pickles! Yummy!) that had our attention. It was the limited edition Boss-like cape, complete with an ostentatious fur collar and the words “I am the Big Boss KFC” slapped on the back of the flaming red cape. Unfortunately though, it is not for sale. It is a sweepstakes prize where you get a chance of bagging the cape if you post a picture of yourself eating the said burger like a boss on KFC Arabia’s Facebook page with the hashtag #KFCBigBoss #EatLikeABoss and tag @kfcarabia to have a chance to win one of the four Boss-like cape. So, yeah, only applicable if you are in Middle East and the contest is open from now till April 17, 2019. Images: KFC/Yum! Brands/Anonin Kellian Kallouche.